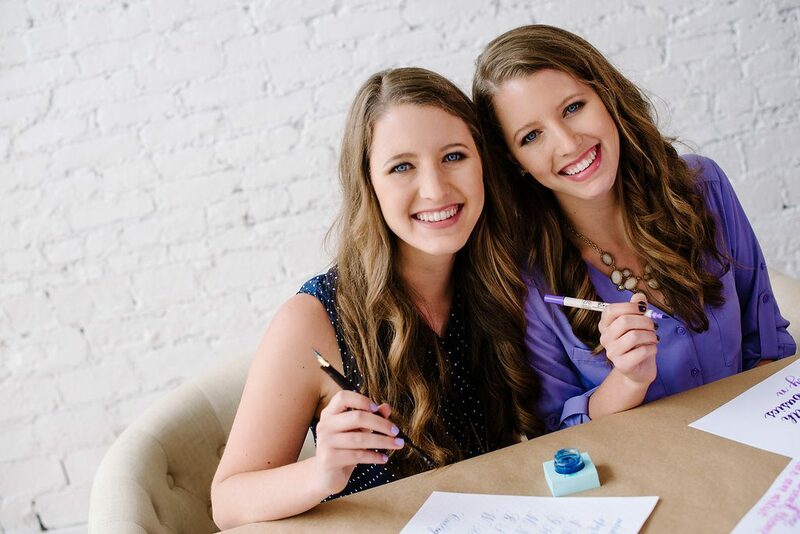 Creative crafters and calligraphers since childhood, these twin sisters love designing various lettering projects themselves, as well as teaching others how to develop their own talent. Something that helped get you started was a calligraphy class when you were kids. Was there any advice from that class that stood out so well you can still remember it today now that you are teaching lettering yourselves? What makes you different from other calligraphers and letterers? 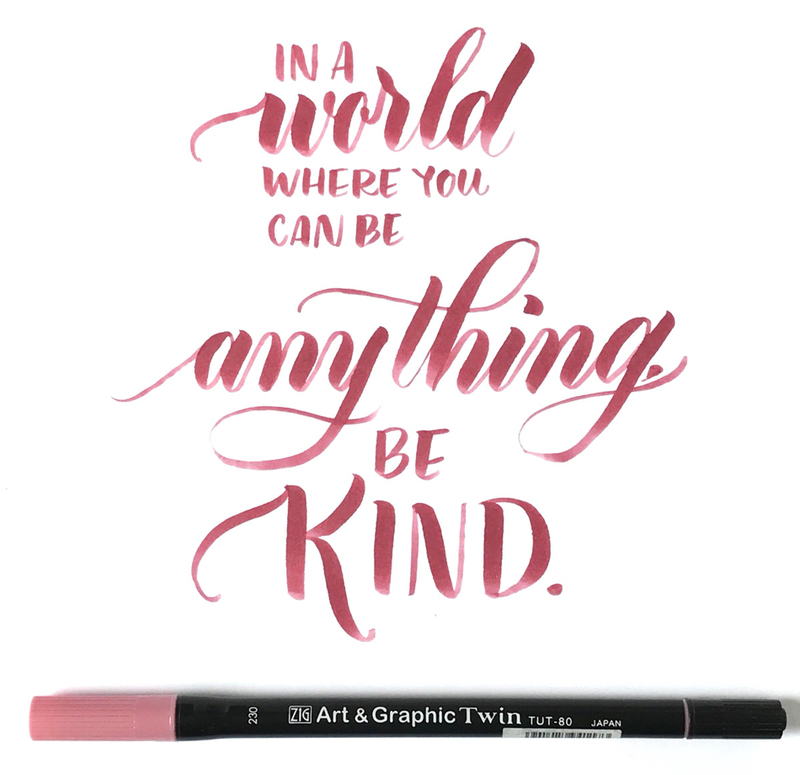 What are some places or things you commonly find inspiration from for your lettering quotes and designs? 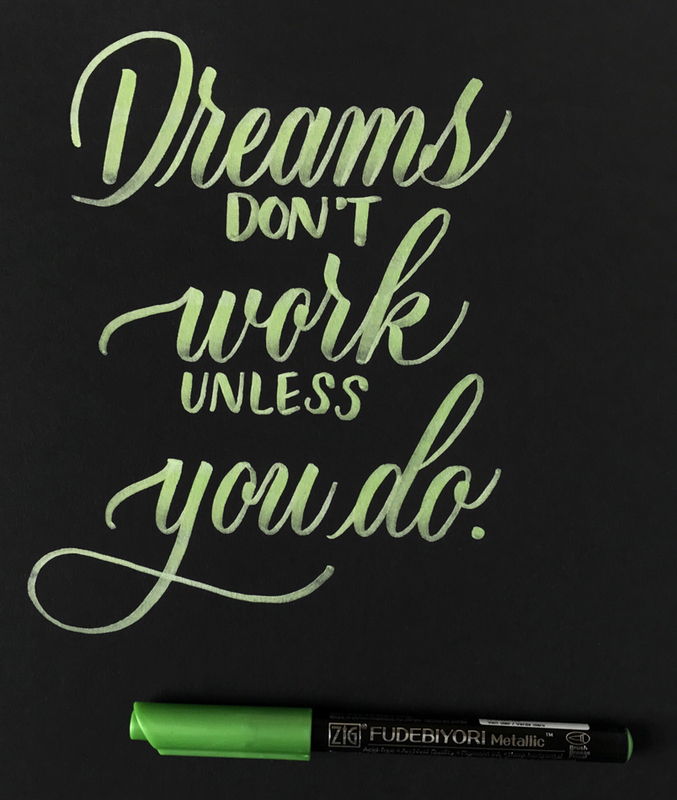 Are there any memorable jobs or projects you’ve done in the lettering world that were particularly fun? Any extra challenging ones? To see more of Loveleigh Loops’ work, check out their gallery HERE, or visit them on Instagram and Facebook! Out of all the lettering tools out there, which types do you prefer using and why? 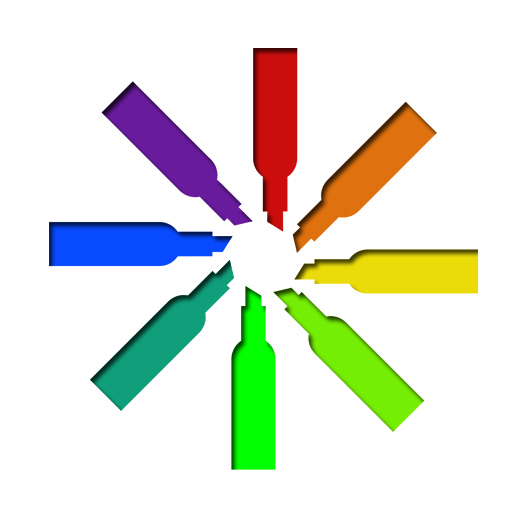 Have your tastes in tools changed as your skills have grown? This color chart was made using the Kuretake Gansai Tambi Starry Colors paints. 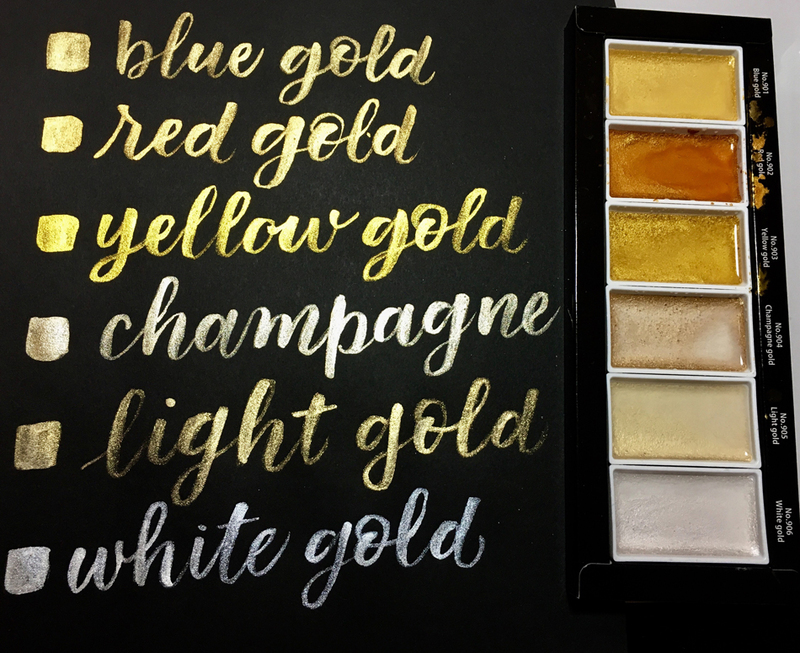 Enjoy these beautiful gold pigment ink colors with paintbrushes, waterbrushes, or calligraphy nibs! Find them HERE in the Marker Supply store! Any specific tools you would recommend a beginner to start with? What features make them beginner-friendly? Try these recommended tools for yourself! 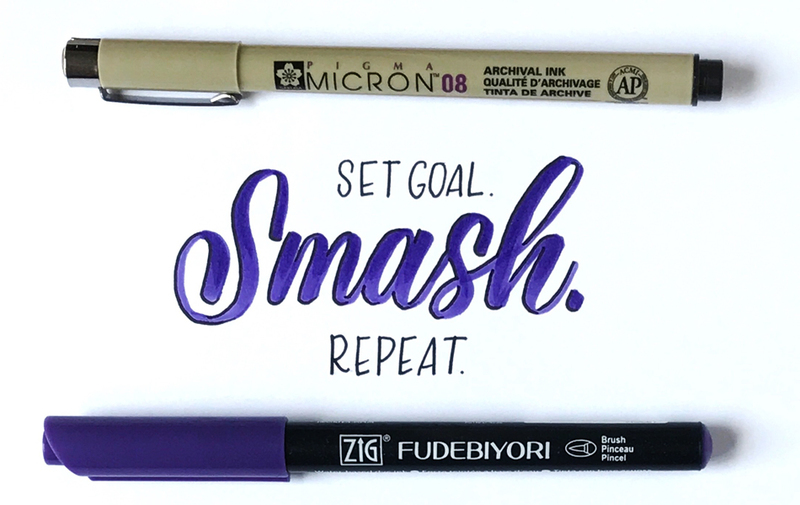 Find both the Zig Art & Graphic Twin and the Pentel Sign Pen w/Brush Tip here at Marker Supply. 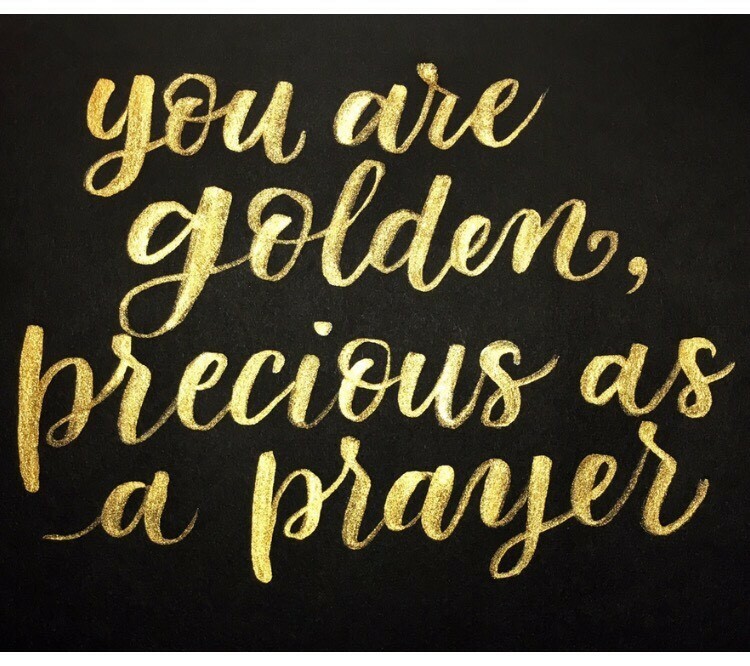 Interested in learning more about calligraphy and brush lettering styles? There are several useful guides available to purchase and instantly download HERE at Loveleigh Loops’ online store so you can get started right away at your own pace! Prefer some in-person instruction? 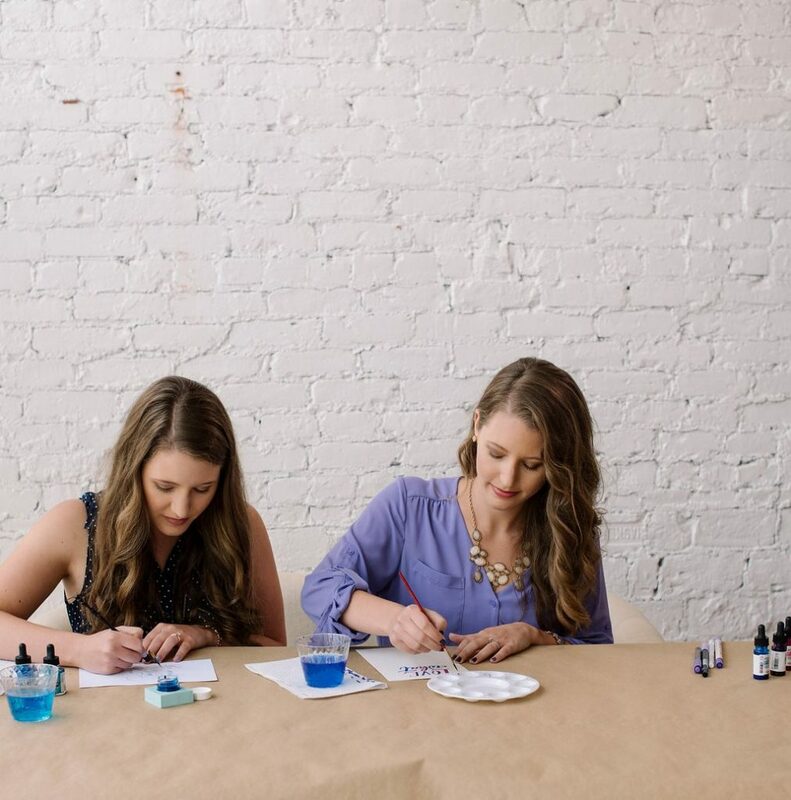 Loveleigh Loops will be hosting several brush lettering workshops this summer, including one here in Nashville on July 25th at our sister company store, Paper & Ink Arts! Come on by for some “loveleigh” lettering lessons! 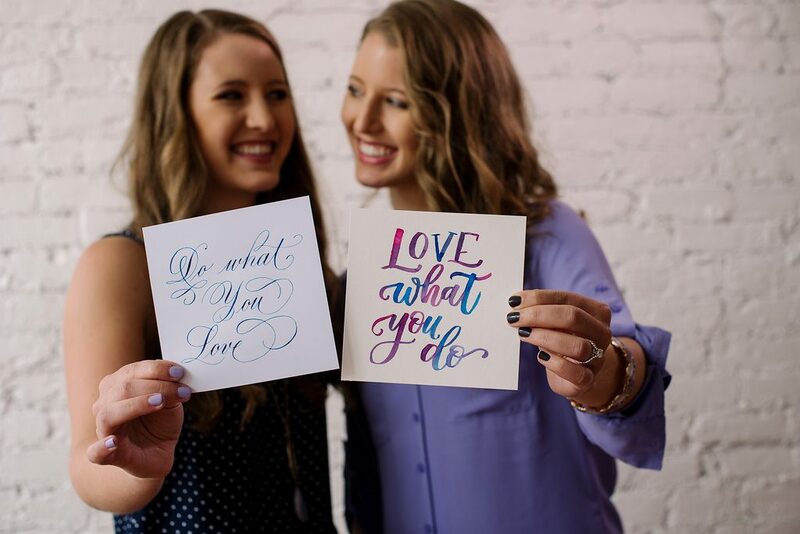 Click here for more information about their Brush Lettering Workshop at Paper & Ink Arts!